Himakshi Road-Cons Equipments Pvt. Ltd.
- Honda company make engine. - Trolley with pneumatic tyre. - Supporting solid tyre with standard accessories. Owing to our state-of-the-art infrastructural base, we are engaged in providing wide range of Towable Road Broomer. 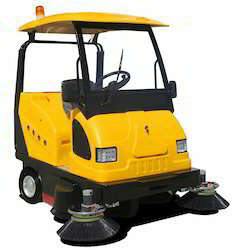 Weoffer road cleaning machine to our clients which are used to sweeproads quickly. This road cleaning machine cleans the road completelyand removes the dirt and dust from it in order to assist in roadconstruction. 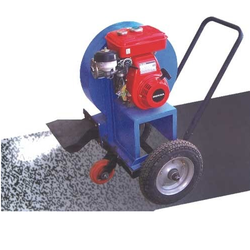 This machine is provided with a rotary brush whichmechanically operates and cleans the dust particles settled on theroad. We are offeringHydraulic Road Cleanersto our clients. We are recognized as the leading entity of optimum quality Road Cleaning Machine.